Great to see you're still delivering the goods Boss, everything looks great so far. Thanks GL, and how the heck are ya man. Good i hope and more to come, stay tuned my friend. -Added player one and two Top Panel. -Added glow to player one and two Panel. -Added Select your Character Top font. -Added minor cosmetic missing sprites. -Separated Select Screen into three separate portions. I'm about done with this default version, might add something else minor. Next to do a template and knock out them bars. Stay tuned folks. @Watt, you forgot this is the 120 slot default version. I still have the custom which has about, 24 slots. 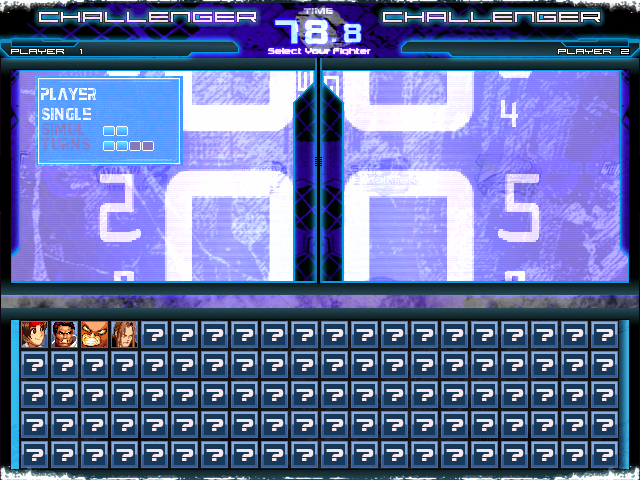 Plus I added two secret rows for additional total of 36 slots. So don't worry my friend, you will be able to choose. Also, thanks for the suggestion of moving the single/simul/turns options. Yeah man, no one keeps up with my shine these day's.lol It's all good the works will speak for themselves. I like to keep things original and not be lazy. Looks great so far. That "Select your fighter" text below the reposition clock is slightly clashy and looks to cut off a bit. Perhaps raising the clock and text a bit? maybe darken the text a tad? The borders look real nice, can't wait to see them bars! I thought the same for select your fighter text. Just needed someone else honest opinion. I will work on that area and post when done. Thanks, Gl you always have a eye for picking my stuff up a bit.lol Those bars will be decent and hopefully people will receive them. 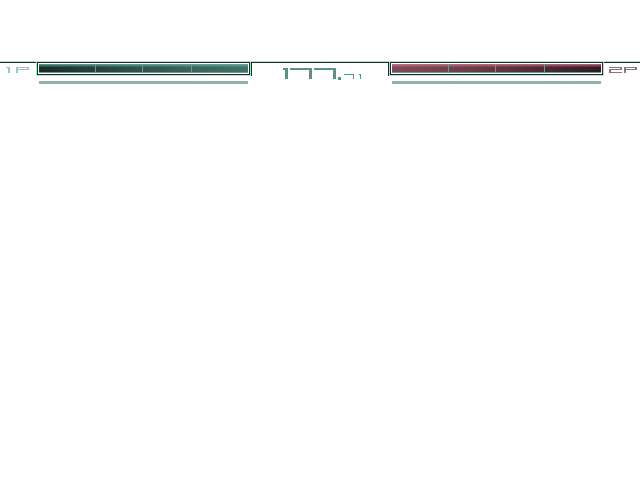 Here is the build for the zone bars, also I will be posting a alt. select. Once I get that other release out the way. I can really sink in on the next project. Stay tune folks, another is on it's way or is it.lol Ideas are welcome and keep it reasonable please. I like. Have you tried seeing how 2P looks in Orange? Also, not going withZ.O.E. 2's vs mode lifebars? No complaints here! They look awesome! simple i guess you are taking reference from something of the game?? ?